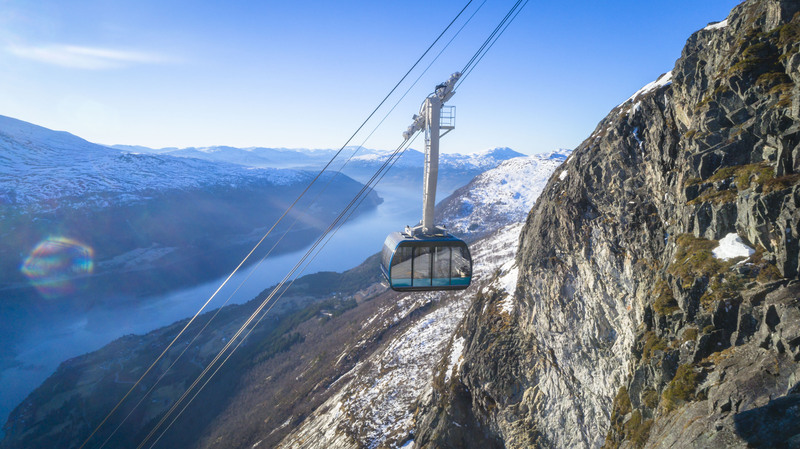 The Loen Skylift is 2.5 times steeper than the mechanically similar Jackson Hole Aerial Tram, which only averages 19.1 degrees. Photo credit: Hoven Loen AS. 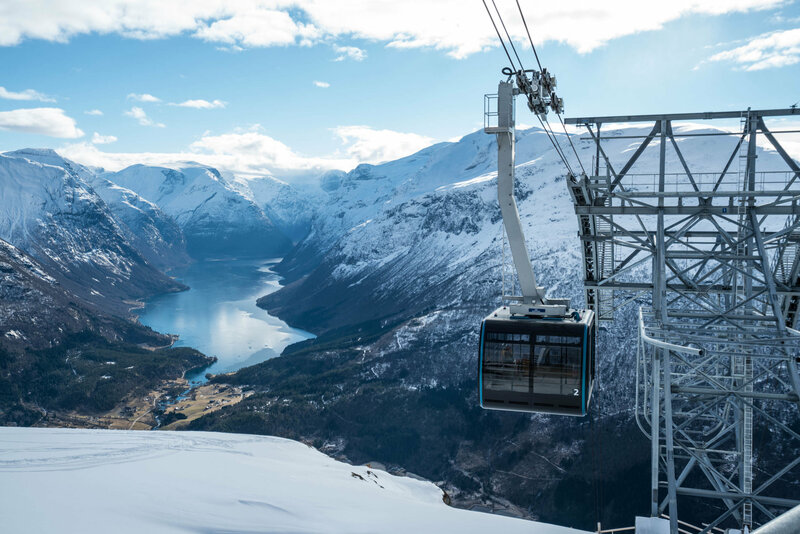 The Loen Skylift is unique in that the $33.7 million project is a joint venture between the local municipality, numerous private partners and Garaventa AG, which owns a stake. The group also completed Europe’s longest Via Ferrata suspension bridge, a carefully-designed restaurant and numerous hiking trails. 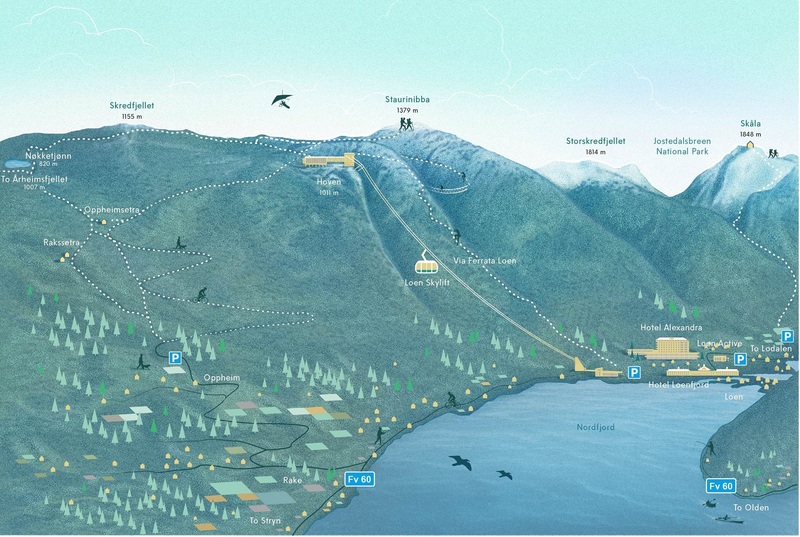 Hosting an estimated 40,000 visitors annually, the Skylift will operate year-round and also provide access to backcountry skiing like the similar oceanside Sea to Sky Gondola. Congratulations to the Hoven Loen team and Garaventa on realizing this remarkable project. Why this move away from track rope brakes? Elevators still have emergency brakes, no? My understanding is the shift away from track rope brakes came out of the Squaw Valley incident. By eliminating the need for track rope brake shoes to be able to pass through, tower saddles can hug more of the rope and make de-ropement less likely. People are always surprised when I tell them we don’t have track rope brakes at Jackson Hole. They assume three ropes means triple redundancy, which is not the case. Carriages without track brakes eliminate the socket attachment at the carriage; the rope is a spliced rope loop (like nearly every other type of Ropeway). This allows for easy rope MRT inspection, also makes the cabin assembly lighter. But main improvement is, as you say, much better track rope retention over saddles. Maybe it’s better that way, but eliminating the track rope brake backup system gives me the weebie-jeebies especially when I look at the second picture in this post. This thing is ridiculously steep and puts practically all of its weight on that skinny little haul rope that threads through, what, four or more wheels at the top station?